Louth Town were beaten 3-1 at Harrowby United Reserves on Saturday. A hat-trick from Kemal Yenibertiz helped the Arrows’ second string book their place into round three of the Challenge Cup. Louth’s consolation came from Frazer Chapman. 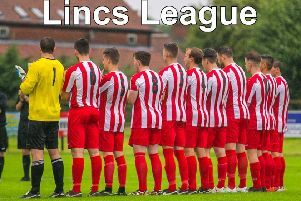 Town, currently fifth in the Lincolnshire League, host Brigg Town Reserves at the Saltfleetby Sports Ground on Saturday (KO 3pm). Next Wednesday they travel to face league leaders Skegness Town (KO 7.45pm).